THE IGLESIA NI CRISTO: Examining the Trtinity Doctrine: Does Trinity make sense? Examining the Trtinity Doctrine: Does Trinity make sense? Why Iglesia Ni Cristo rejects the doctrine that the One true God is consists of three persons (God the father, God the Son and God the Holy Spirit)? LET US EXAMINE and make a comparison of the doctrine upheld by the Iglesia Ni Cristo (Church Of Christ) that the Father alone is the only true God with those of the Catholics and Protestants (let us call them “Trinitarians”) that the one true God is consists of three persons (God the Father, God the Son and God the Holy Spirit). WHICH IS LOGICAL? WHICH IS ILLOGICAL? Which belief about God is logical and which is illogical? 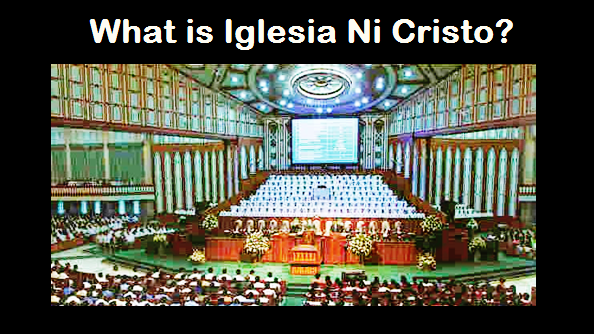 The belief of the Iglesia Ni Cristo or the belief of the Trinitarians? WHICH IS BIBLICAL? WHICH IS UNBIBLICAL? The Triune God, the Trinity: There is God the Father, God the Son and God the Holy Spirit, and these three, each of whom are true God, are only one God. “After Jesus said this, he looked toward heaven and prayed: ‘Father, the time has come. Glorify your Son, that your Son may glorify you. WHICH MAKES SENSE? WHICH IS NOT MAKING ANY SENSE? “The Father is God, the Son is God, and the Holy Spirit is also God. These three are all true Gods (co-equal, co-eternal and co-substantial). 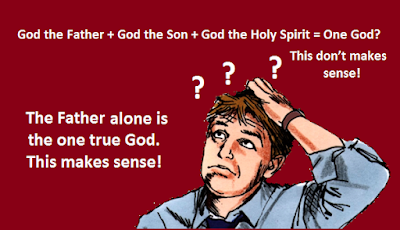 However, God the Father, God the Son and God the Holy Spirit (these three) are only one God. Indeed, it's the Trinity that does not make any sense.